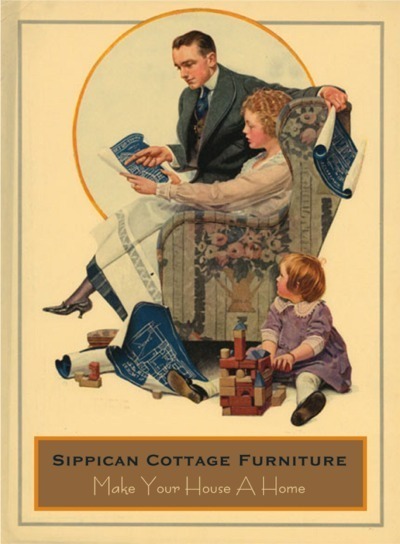 Sippican Cottage: A Heads Up For My Readers. That Was It. Heads Up, I Mean. When I Say 'It", That Was The It. A Heads Up For My Readers. That Was It. Heads Up, I Mean. When I Say 'It", That Was The It. In order to make my readers feel special without the inconvenience of riding on a short bus, and as collateral damage, maybe get my hands on some money and get enough food to forgo a little seven-year-old's bite marks on my wrists when I reach for the bowl of gruel, consider this one of my infrequent heads up that there are eight new, very highly discounted items on my "Ready To Ship" page over at Sippican Cottage Furniture. Last time I had seven items, and five sold in about five minutes because people are very nice to me indeed; so if you want something you see over there, don't wait around. Now you've all got a seven-hour head start on the people that signed up for email marketing. Just an idea... Something that has been good for us, in addition to our website, is Etsy. They charge 20 cents for a 4 month listing and 3% on a sale - not bad. You manage your own store, set your own terms and the people we've dealt with have been great. Plus, it drives people to your site, which is always a good thing. Good talking with you, Greg! Can't wait to see our beautiful furniture. Hi Golden West- Thanks, that's a fine suggestion. I'll look into it. Hi teresa- Thanks again for your purchases. I'll dust them hourly until you get them.